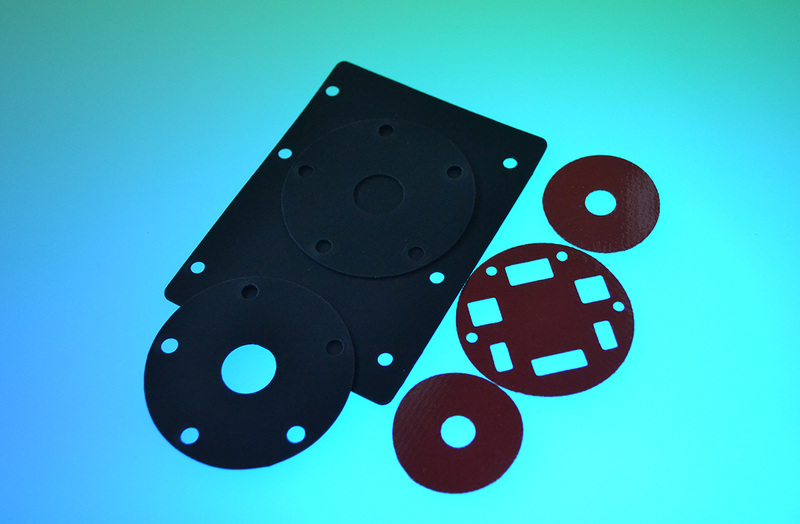 Along with a very large selection of commercial and speciality insertion sheets EMI Seals offer a selection of Thin, Precision coated Diaphragm sheets starting at 0.20mm thick and increasing in thickness. Ideal for all sorts of pumps, old carburetors, breathing masks, gas control equipment. Acrylonitrile or Nitrile as it’s more commonly referred to is a co-polymer of Acrylonitrile and Butadiene. The Nitrile content varies in commercial products from 18% to 50%, the higher the Nitrile content the better the resistance to petroleum oils and hydrocarbon fuels, but low temperature flexibility decreases. As Nitrile has an excellent resistance to petroleum products, and an ability to be compounded for service over a wide temperature range, Nitrile is the most widely used elastomer in the seal industry today. Nitrile compounds are superior to most elastomers with regard to compression set, tear, and abrasion resistance but have limited resistance to ozone, sunlight, or weather. To obtain good resistance to lower temperatures, it is often necessary to sacrifice some high temperature resistance. Nitrile should not be kept near electric motors or other ozone generating equipment and should not be kept in direct sunlight. Full technical Data Sheets are available for all materials and grades listed in the Data Sheet Links below.